Students rotated to different stations to learn from people with expertise in those areas. 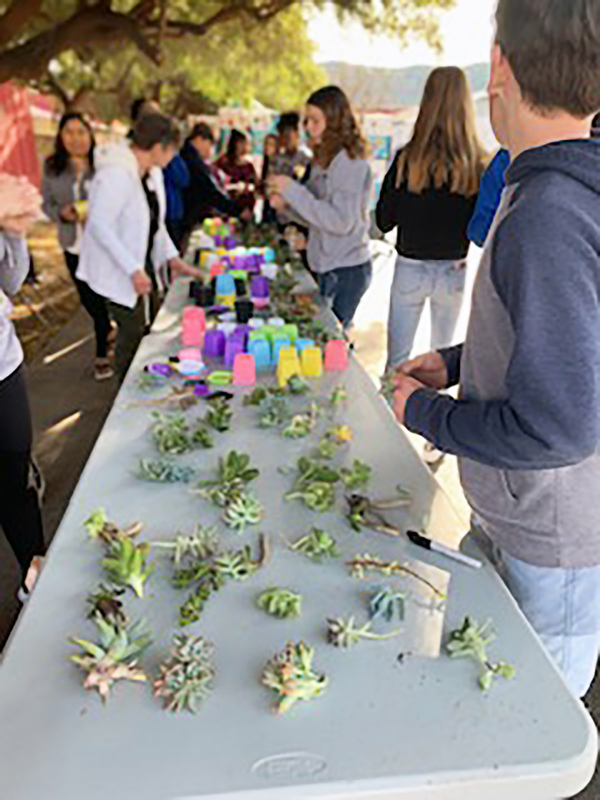 Students of the San Pasqual Union Elementary School District last week celebrated their annual Art and Garden Day. Many volunteers spent the day working with students from the community including Berry Good Food Foundation, Jimbo’s, Marianne’s Heirloom seeds, Safari Park, Chef De Cuisine, Farmstand West, Deanna’s Gluten Free, El Plantio Nursery, San Diego Country Department of Entomology, San Diego Green Energy Coalition. In addition, over 60 volunteers from the school helped at the art / garden stations. Sage Harvest Day is celebration is a day that the school looks forward to all year. Students get their hands dirty, enjoy nature and art all day while learning and having fun. Volunteers with expertise in different fields spend the day teaching the students, or in this case, making them lunch. 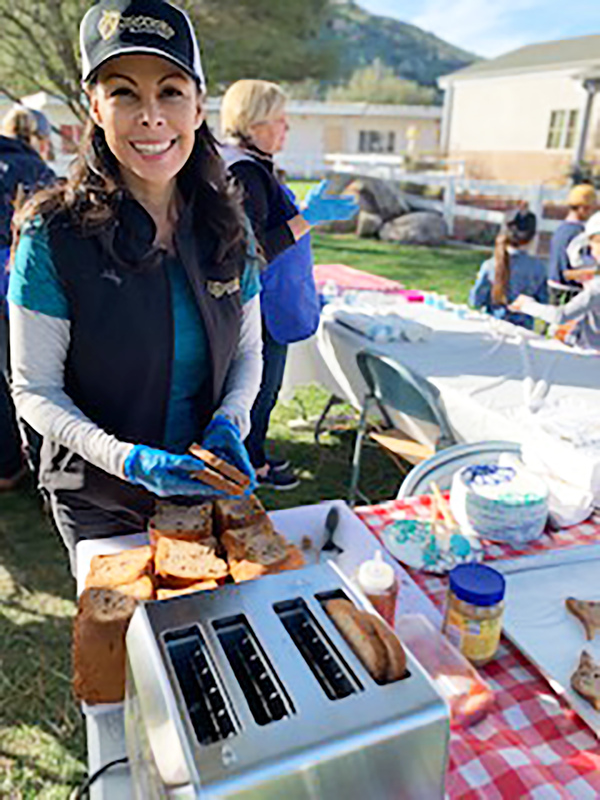 Sage Harvest and Art Day celebration is a day focused on teaching the kids about farming , nature, art, and living a healthy life, which includes healthy eating. The students spend the whole day rotating through different stations that touch on all the above areas. They have different companies and people with special expertise in these areas, who come and volunteer their time to have a station and teach the students. 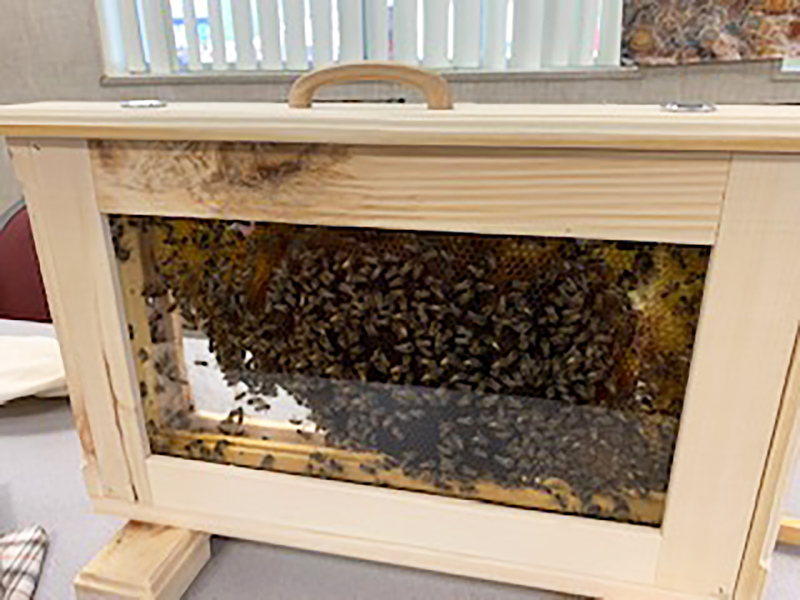 Students were able to see bees up close and personal in one of their portable hives.